This Walnut Crust Pumpkin Pie has a walnut-infused pastry crust with a light and fluffy pumpkin filling. Different and delicious! This is your official reminder that Thanksgiving is a little over a month away…can you believe it?!? With Thanksgiving menu planning in mind, every dessert table this time of year needs a delicious pumpkin pie at center stage – and our Walnut Crust Pumpkin Pie is a wonderful and different choice! I’m guessing that the cookbook was compiled sometime back the 1960’s or 70’s (no publication date given), and it mentions that the recipes collected for the book are ‘very old’ family recipes. So – if you do the math, I’m guessing this Walnut Crust Pumpkin Pie recipe is at least 75 years old – maybe older! Jack and I were both quite intrigued by this Walnut Crust Pumpkin Pie recipe. The crust is a shortening pastry with ground walnuts added that is pressed and shaped into the bottom of a pie plate, rather than being rolled out. It’s also an unsweetened crust – and the nutty texture and flavor was a wonderful complement to the sweet pumpkin filling. Additionally, the pumpkin filling is quite different from today’s traditional pumpkin pie recipes. A mixture of whole milk, heavy cream, pumpkin puree, brown sugar and spices is heated to scalding, then cooled. The scalding process adds a deep rich flavor to the milk and cream. Next, whipped egg whites are folded in before the pie is baked in the oven – giving the pie filling a light and fluffy texture. I should also note that the filling of this Walnut Crust Pumpkin Pie is flavored with freshly grated orange zest (as well as ginger and cinnamon) – a different, yet surprisingly delicious flavor combination that really complements the flavor of the pumpkin quite nicely. The Walnut Crust Pumpkin Pie is really a wonderful twist on the traditional Thanksgiving pumpkin pie. The texture is very light and airy – perfect for serving after a heavy Thanksgiving meal. And the nutty pie crust and touch of citrus makes this pie unique and deliciously different. I think your dinner guests will love it! In a medium sauce pan, mix pumpkin, cream, milk, sugar, ginger, cinnamon, salt and orange zest. Scald by heating just until it starts to boil but remove from heat before it boils. In a large bowl, beat egg yolks and very slowly, drizzle in the hot pumpkin liquid, tempering the eggs, until all of the liquid has been whisked in. If you add too quickly, the eggs will scramble. Place this mixture in the refrigerator for one hour to cool. Save the egg whites for later. While that mixture is cooling, make the crust by placing the walnuts in a food processor and pulse until they are ground but not so much that they start to puree or get gummy. Add flour and salt and pulse a few times. Add shortening and pulse a few times to mix. Add a little water at a time and pulse after each addition just until the dough comes together and is pliable. Scrape the dough into a 9” pie plate and press into the bottom and up the sides, making a decorative edge when done. Do not try to roll the dough, pressing it into the pie plate is the easiest. Refrigerate until the filling has cooled. After the pumpkin mixture has cooled, preheat the oven to 425 degrees F.
Whip the egg whites to stiff peaks and fold into the cooled pumpkin mixture then pour the filling into the prepared pie plate. Bake for 10 minutes, then reduce the oven to 350 degrees F and bake for 25-35* minutes more or until the center is firm and a tooth pick poked into the center comes out clean. Whip the heavy cream if using. *Our pie baked for a total of 38 minutes and the original recipe stated 45 minutes baking time. However, ovens are different so always check for doneness before removing from the oven. Hi Joe – Great question. No pre-baking or partial baking needed. The dough is a little ‘drier’ (for lack of a better word) with the ground walnuts added, plus as you bake the pie, you’ll start out at a higher temperature then reduce to finish at a lower temperature – this helps prevent the bottom from getting soggy. We made this pie twice to perfect the recipe before posting (sometimes those old recipes lack some details or need a little tweaking) and the crust was not soggy. Hope that helps! I have not made this yet but I can tell you that at our Thanksgiving table I am the one that is “ordered” to bring the desserts ever year . 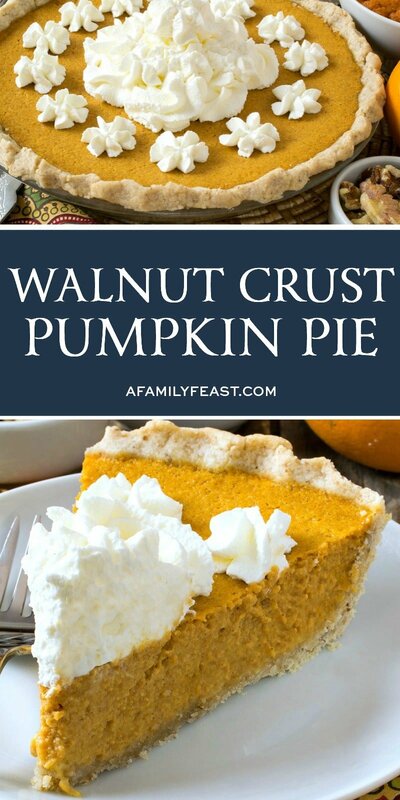 I have two family members that love pumpkin pie and I love the idea of the ground walnut crust ! The only thing that I would not really care to do is whip egg whites. I am lazy in that regard but this is such a lovely recipe , I will step out of my lazy zone and do this. I would love to get a copy of that cook book from your church but I realize that since you had no copyright or publishing date it’s probably an impossilbe task. Any way, thanks for putting this recipe out there for us foodies. 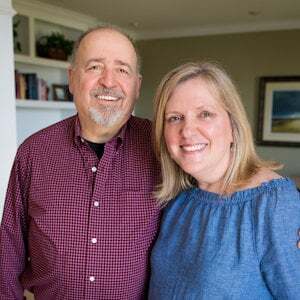 Have a wonderful Thanksgiving holiday! Love the pumpkin pie recipe will be trying it. Did notice in your picture of the cookbook you showed that there was a STRAWBERRY FLUFFY PIE recipe partially showing. I am very interested in the complete recipe for this. It sound like a pie that my Grandmother use to love. Would greatly appreciate the full recipe. Thanking you in advance. Cut berries into small pieces, add sugar, lemon juice and chill. Soften gelatin in cold water for 5 minutes, heat and dissolve. Add to chilled berries and fold in whipped cream. Add flavoring, turn in pie shell. Chill till firm.